KIEV, March 12 /TASS/. Alexander Peklushenko, the former governor of Ukraine’s Zaporizhia region, has been found dead in his home, Anton Gerashchenko, a Ukrainian parliament deputy and an adviser to Ukraine’s interior minister, said on Thursday. “There are grounds to believe that he had been driven to suicide,” Gerashchenko said in an interview aired by a Ukrainian television channel. Peklushenko’s body – with a bullet in the neck – was found in the Solnechnyi village on Thursday. Law enforcers are working at the scene. 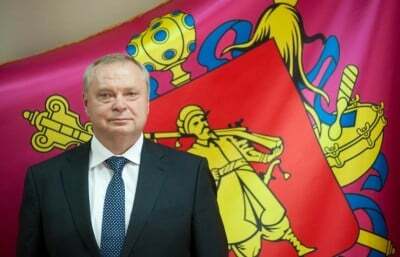 Peklushenko was a member of the Party of Regions and the head of the party’s branch in the Zaporizhia region. He was appointed governor of the Zaporizhia region in 2011. Prior to that he had been a deputy of Ukraine’s Verkhovnaya Rada (parliament) of the IV-VI convocations. Another two members of Ukraine’s Party of Regions, Mikhail Chechetov and Stanislav Melnik, were found dead some time ago. A number of high-ranking officials committed suicides in Ukraine from January 26 to February 28. Nikolay Sergiyenko, the former first deputy head of the Ukrzheldoroga railway company who was appointed by Ukraine’s former Prime Minister Mykola Azarov shot himself from a hunting rifle; Alexey Kolesnik, the former governor of the Kharkiv region, hanged himself in his home on January 29 without leaving a suicide note. The 57-year-old mayor of Melitopol, Sergey Valter, hanged himself on February 25 hours before a court hearing on his case. The body of Alexander Bordyuga, the deputy chief of the Melitopol police department, was found in a garage on February 26.